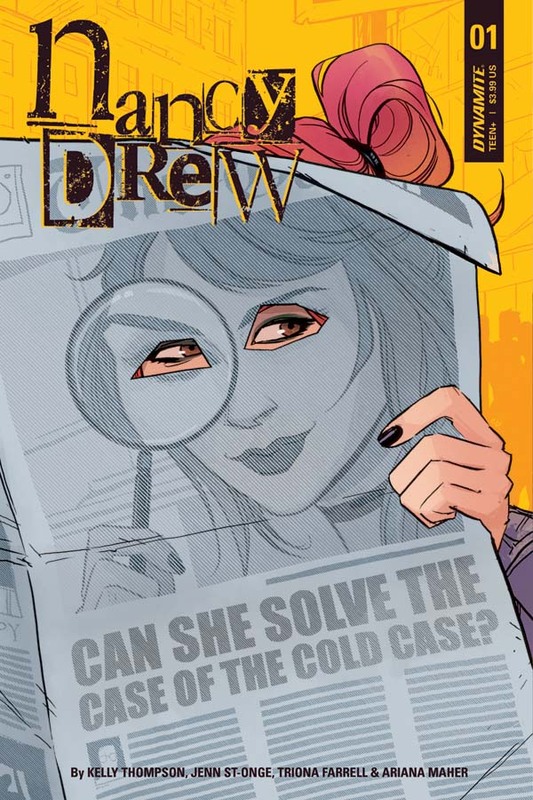 Nancy Drew has carved a new life out for herself, with new allies and new cases. 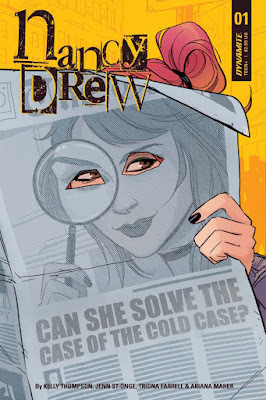 But when something draws her back to her old life, she's in for familiar dangers in this spectacular first issue. I grew up reading the Hardy Boys (and some Nancy Drew), and not all of the comic adaptations have worked well for me. This one knocks it out of the park. Thompson has modernized Nancy but keeps her very much the same character at her core--risk taking, confidence, and all. Meanwhile, St-Onge and Farrell keep the characters looking youthful and expressive and ready for adventure. This might go under the radar, which would be a big mistake. It's spectacular! Saddle up, partners! Finn and Jake have a Western-style adventure to save some ice cream in a really funny one-and-done story. Normally, this series is an anthology, but here we only get one issue-long take, but the format change is worth it for this one. Jenkins really knows the humor of the show, from the Finn-Jake interplay to the issue's punchline. Sun sticks to pretty typical depictions of the characters, but that's totally fine with me. That allows me to run with the story and enjoy the romp. With the main series over (for now), I wonder if we'll get more solo stories here? 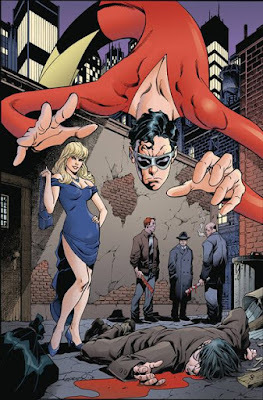 Gail Simone writing Plastic Man. This is not a drill. I've always dug Eel as a character, and he's best when the writer understands there's more to him than just being a stretchy ex-con. I'm trusting Gail to get that balance, and not turn this into a return of the series by Kyle Baker, which never worked for me. I've only see a bit of the art of this one, but what I've seen looks really cool. This one's headed for my limited pull list. Michael Fiffe takes a turn revamping a Rob Liefeld property, and brings several cool people along for the ride in one-page bonus comics. This one is probably going to hinge heavily on two factors: How much do you like Fiffe? 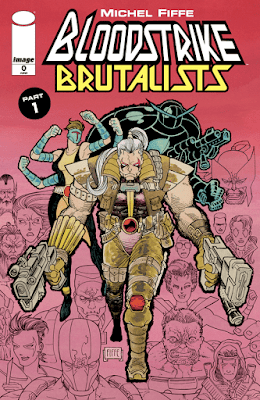 How well do you know the Youngblood/Bloodstrike universe? If the answer to both is "eh" then this probably won't do anything for you. But seeing a good homage creator take a stab at looking back at older Image characters is definitely something I'm interested in. This is definitely in the mold of Copra, but works better for me because the characters aren't standing in for anyone--they're the real thing. Going to be fun to see where this goes. 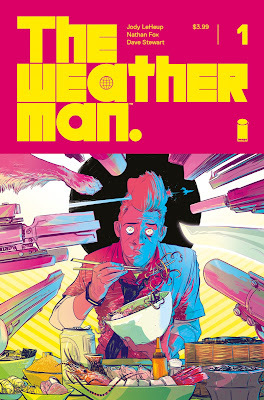 The Weather Man #1 by Jodi LeHeup, Nathan Fox and Dave Stewart, published by Image Comics. I know almost nothing about this book. 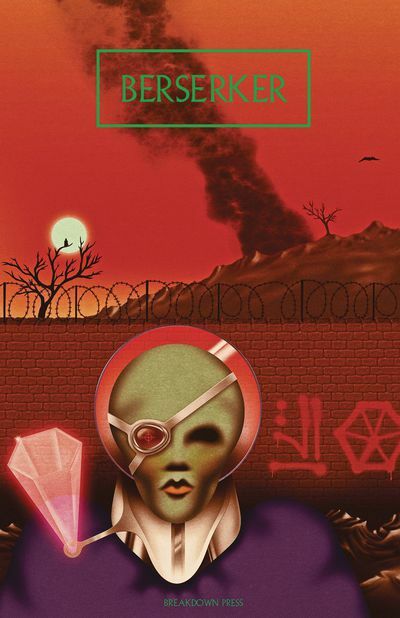 But the description sounds pretty off-the-wall, and I'm always happy to look at a fun, weird new sci-fi book. Plus, I love Fox's art. He was the artist on the Captain Victory mini from a few years ago at Dynamite that I just adored. That was such a weird, exciting series, and Fox is an incredible visual stylist (and it's fantastic to have Dave Stewart on baord for colors). So, I'm excited to see what this is. 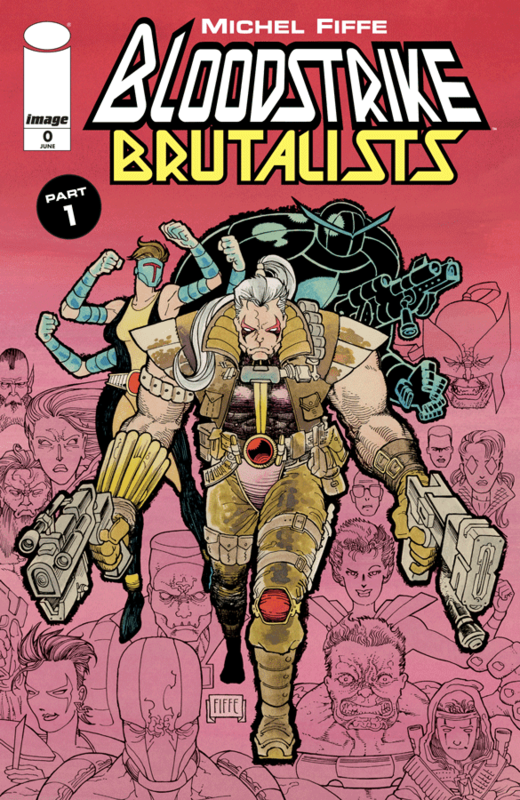 Bloodstrike: Brutalists by Michel Fiffe, published by Image Comics. I have precisely zero connection to the 90's Image Bloodstrike comic, but I've loved these modern re-imaginings of classic Image books, like Glory and Prophet and particularly Supreme with Supreme: Blue Rose. Additionally, I'm a huge fan of Michel Fiffe's work, having just written about him for my Heroes Con preview. Copra is an amazing book, and full of life and energy and ideas. I've already read this first issue and I thought it was terrific - not knowing anything about these characters wasn't really an issue. It's fun and big and action-packed. 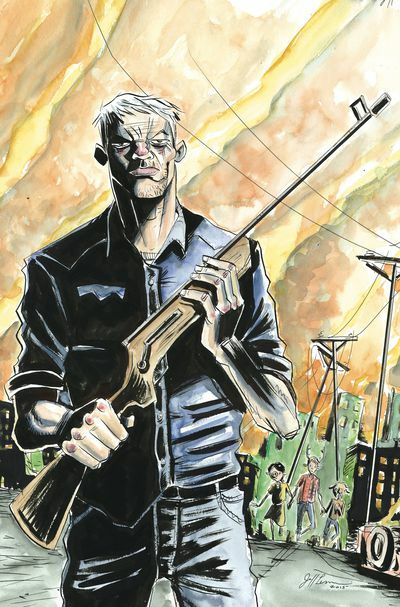 The Dead Hand #3 by Kyle Higgins, Stephen Mooney, Jordie Bellaire and Clayton Cowles, published by Image Comics. I've really enjoyed this series thus far. It's a fun spy-related series, but its got all sorts of twists that I won't spoil for you. 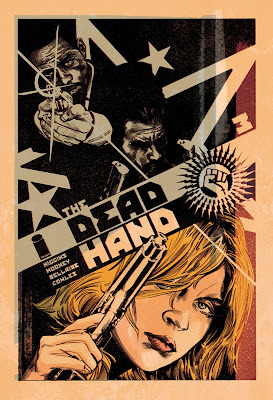 But if you liked Velvet or other spy-focused series, I think you'd enjoy The Dead Hand as well. The art from Stephen Mooney and Jordie Bellaire is just terrific. Trust me, it's got some twists and turns that will make clear that the stakes in this story are pretty high. 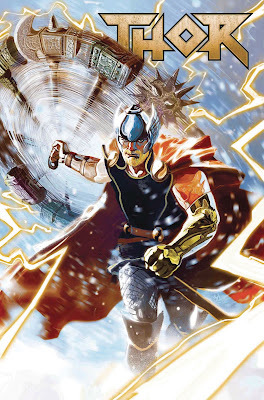 Thor #1 by Jason Aaron, Mike Del Mundo and Christian Ward, published by Marvel Comics. Jason Aaron has been doing remarkable work on the Thor comics ever since he took over back in 2012 or so. I was sad to see the prior run end, but it ended in an incredibly satisfying way. Russell Dauterman is a tough act to follow art-wise. However, lining up both Mike Del Mundo AND Christian Ward is a pretty sweet way to kick off the new series. Both are incredible visual stylists, with big, cosmic ideas and tons of creativity bursting off the page. 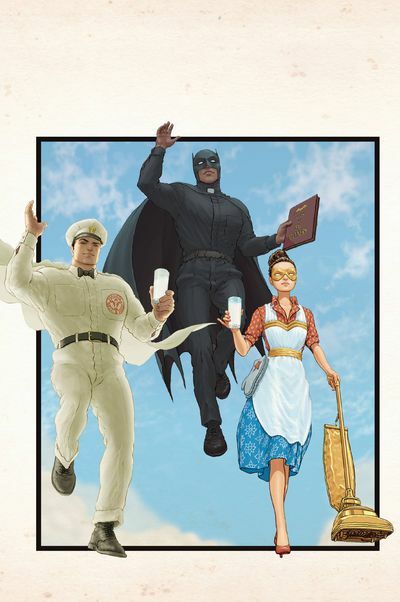 I'm thrilled to see what Aaron, Del Mundo and Ward do with this book. The most recent incarnation of Extreme Studios books that started with Brandon Graham’s Prophet in 2012 been, in a word, confounding. Someone will have to explain to me not only how Rob Liefeld managed to bring in indie creators like the aforementioned Graham along with Sophie Campbell, Tim Seely, and now Michel Fiffe, but also what the particular allure was for them to tackle books that unfortunately typify most of what was wrong about 90s comics storytelling. Perhaps its nostalgia. I’d be lying if I told you I didn’t purchase an unhealthy amount of Liefeld properties in my youth. Perhaps it’s the artistic challenge: How does one turn these books on their heads? Nonetheless, the trend of legit cartoonists tackling mainstream work is one I hope continues. Image sometimes offers advanced solicits that are so far advanced that I feel like I’ve been waiting for this book to come out for months. 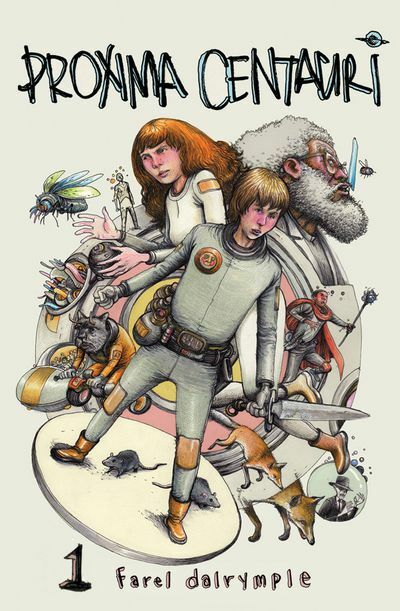 Dalrymple is coming off an excellent collaboration with Mike Mignola in Jenny Finn, and I’m happy to see him get back to his own stories which tend to offer original takes on genre fiction while paying homage to the core tropes of the chosen genre. 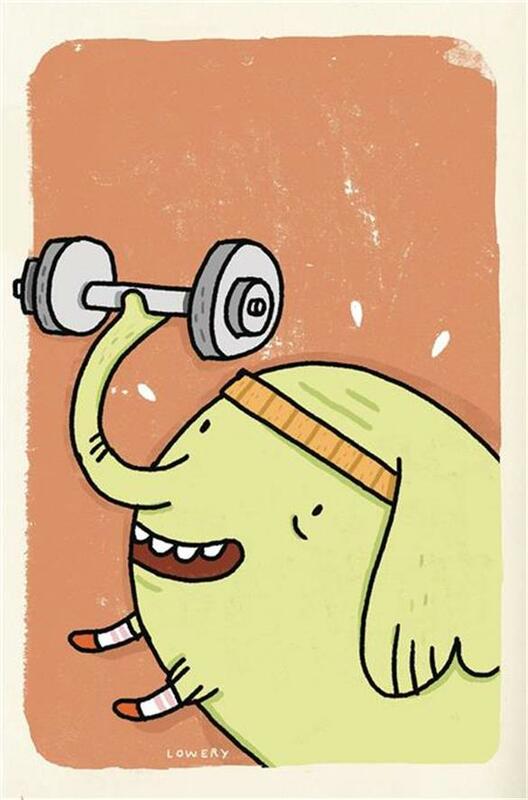 See It Will All Hurt, for instance. 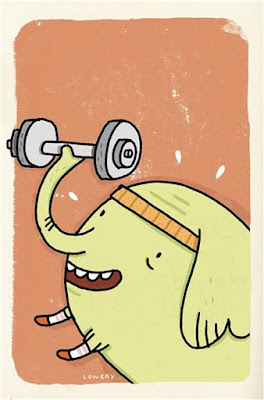 Dalrymple’s art is playful and unique. It’s part classic Disney house style, part Miyazaki, and part Crumb all filtered through a storybook lens, or vice-versa. I remember buying the first issue of Sweet Tooth only a short time after I got back into comics roughly ten years ago. I was buying a ton of superhero stuff, but I longed for the indie and alternative voices from the Vertigo of the 90s that were remarkable in their influence on my worldview. Sweet Tooth seemed to come along at an opportune moment. Last month, I bought the first volume of this reissued collection, and I think I might have eaten it. This volume collects the early midpoint of the series, as details about the setting gradually begin to make more sense, and as Gus’s situation becomes all even direr. Ok, I’ll admit that I can’t hear the world “berserker” in any context without singing the song from Clerks in my head, but that not (entirely) why I’m picking this book. We’ve seen a nice increase in both anthology titles and European sci-fi recently, and Berserker looks to provide some great genre fiction from continental Europe and Great Britain.